A short-circuit at the PROFIBUS cable can disturb a data communication in the particular segment. The devices in that area will NOT get damaged! The short-circuit can easily be detected with an oscilloscope and even the distance to the problem can be masured. The PROFIBUS communication is specified in IEC 61158 Type 3 and IEC 61784. IEC 61158 Type 3 includes the entire range of PROFIBUS, consisting of the versions DP-V0, DP-V1 and DP-V2. IEC 61784 specifies the properties of the Communication Profile Family CPF 3 which is PROFIBUS. This is only infrastructure and the initial savings. But the real money making starts with the maintenance and the operational costs. PROFIBUS is an excellent choice, but some training is required to get awareness about the advantages. Give some basic tips for installing a PROFIBUS DP network? What they do not know, is that it has to be activated again when you are using repeaters, OLMs or Profihubs. Every segment has to be terminated! This often slips in when people are using lots of fiber optic and there is only a short length of copper cable in the cabinets. Even this short cable has to be terminated at both ends. There are 2 basic tools which are absolutely necessary! You need a bus analyzer to verify the protocol quality and an oscilloscope to verify the signal quality. With these tools combined you can find 99 % of all errors. ProfiTrace 2 is a Combi-Analyzer that has both tools integrated. The multi-meter is NOT usable for signal analysis! It will only be used to check a connection between 2 points. SINEC L2-DP is PROFIBUS DP! Siemens did at one time use their own names for product designation. However, since this proved to be confusing (with L2 in the name), the L2 part of the designation was dropped in favour of just DP to avoid confusion. Another example: SINEC S1 is AS-i. PROFIBUS DP. Based on this communication layer, several device profiles are defined in the application layer. These profiles provide common data, diagnostics and parameters for the end-user. Sometimes people are confused with PROFIBUS DP and PA, but the only difference is the physical interface. In fact, a PROFIBUS PA device is a PROFIBUS DP device with an application profile suited for the process industry. PROFIBUS can run on 12 Mbps, which makes it the fastest fieldbus in the world. The messages have only 9 bytes overhead which makes it very efficient. An installation with 30 devices can have a cycle time of less than 1 ms.
PROFIBUS is the choice for fast message delivery in the industrial automation environments. PROFIBUS and PROFINET have the fastest cycle time, which can be less than 1 ms. This cycle time is extremely stable which makes it Real-Time. For diagnostics we have standardized formats and maintenance tools that match perfectly with the demands that maintenance personal has. First of all PROFIBUS is the only fieldbus that can be used in all parts of the factory (upstream, process and downstream). This means you can use 1 type of control system, 1 knowledge package, 1 group of spare parts and 1 design strategy. PROFBUS also has a very large number of manufacturers offering products and services. This means for almost every application there is solution and enough backup products available. These products also have strengths in certain application areas such as; motion control or process control. PROFIBUS guarantees that every product always works with products from other manufacturers. It has Competence Centers that support the end-users with their automation questions and last but not least, Certified Training Centers provide training. People from the working groups are working close together to create a better world considering the cost aspect and the environment. They have a special band! Different people from different companies can work together without political, business and personal barriers. All faces pointing to the same direction and we get the job done! The result of their hard work is that; PROFIBUS and PROFINET can save you energy, weight, materials, spare parts, documentation and a lot of effort. PROFIBUS is an open specification. Every company is allowed to create a master/slave implementation. Some patents are relevant to the PROFIBUS DP specification. The patent holders have granted free of charge licenses to all members of any RPA. Non-members have to agree on a license with the patent holders. If a company wants to release a PROFIBUS implementation (software or hardware) as an open-source solution, the rules are relevant that are agreed at the OSADL (Open Source Development Lab, see www.osadl.org). These rules say that no implementation can be released as an open-source solution if it is covered by patents. This means that neither a PROFIBUS DP slave nor master can be registered as an open source implementation. NO, the master will always cyclically communicate with the slaves, so for the cycle time it doesn? it matter what addresses they have. What is the meaning of the acronym ‘GSD’ file? GSD files contain information about the basic capabilities of a device. All devices are shipped with a GSD file, or a file can be downloaded from this web site or the vendor’s own web site. With a GSD file, system integrators can determine basic data such as the communications options and the available diagnostics. There are lots of interpretations concerning the acronym GSD, but the correct version is; ‘General Station Description’. Additionally to the mandatory diagnostic part, devices can also provide a device specific part with a maximum length of 244 bytes (including the 6 mandatory bytes and headers). The device specific part can be defined by the device manufacturer (device related diagnostics) and/or a scheme of the standard can be implemented (identifier related and channel related diagnostics). 99% of the device manufacturers implement only the device related diagnostics. It is highly recommended to specify the diagnostic data in the GSD file and manual of the device. Most DP masters and diagnostic tools can extract the diagnostic information and make it available for the application software. Can we control the outputs of 1 slave with 2 masters (PLCs)? NO, only 1 PLC has the right to control the outputs (safety feature). The 2nd PLC can only READ the inputs/outputs. 1.5 Mbps is the most commonly used transmission speed. This is the default speed when you create a new project. Most users don’t know what it is and keep this value. Our experience is that most installation are running on a speed that is much too high for the application. When the speed is lower you can have longer cables and less chance of disturbances. Reliable settings to make PROFIBUS DP communication more reliable? When a PROFIBUS device is added in the control system configuration, the device gets new memory space assigned, which does NOT conflict with the existing configuration. The existing configuration and program does not need to be touched. This makes PROFIBUS perfect for instrument expansion or complete machine copying. How is the term “plug and play” used in PROFIBUS ? It has a double meaning; if you replace a device with the same type it works directly, because the configuration is stored in the control system. Also, you can easily integrate a new device in your configuration by importing a GSD file and synchronizing the address of the device. By serving standardized and profile based device descriptions PROFIBUS also enables a manufacturer independent device replacement. When a device has diagnostics it indicates this during the data exchange. The master will immediately fetch the diagnostics and makes the information available for the end-user. The diagnostics from devices are completely event triggered. Diagnostics are important for smooth and reliable operation. Devices report their own device status and indicate when they need service. This reduces maintenance costs and can increase time between scheduled field visits. Can we install PROFIBUS DP cable in a PA network? use only cable that complies with the PA specifications! When the transmission speed is 1,5 Mbps or higher, it is highly recommended to have at least 1 m of cable between 2 devices. The input capacitance of both devices will be compensated by the cable in order to preserve the common impedance. When the devices would be very close together, there is a big chance the input capacitance causes reflections in the data communication (small short circuits). The effect is much less at transmission speeds lower than 1.5 Mbps. NO, because of certain application, protection and isolation classes, PROFIBUS DP cable can have another colour. Example: ground cable and shipboard cable are black, robust cable is green. The standard cable is always violet! Yes, multiple (parallel) Profibus cables can be installed in a metal conduit. It gives good behaviour when EMC is involved. The PROFIBUS DP – RS 485-IS standard (for Ex environments) has defined that the pull-up and pull-down resistors have to integrated in the devices. This way they are always charged and can never cause a problem when somebody is moving the termination switch on a plug and it is more difficult to make a direct short circuit on the connector pins of the device (explosion protection). The resistor values are also different: 510 – 200 – 510. Because the baudrate is relatively low with PROFIBUS PA, spur lines are allowed to be long without disturbing the data communication and we can assign a fixed maximum length per spur / per device. With PROFIBUS DP it is a different story; the high baudrate limits the spur line length. If we would fix the maximum length per device, it would only be 20 cm per spur for 32 devices and that would not make sense. To solve this we define it as a total sum of all spurs together so that the end-user has more flexibility, because not all devices require a spur line. Some PROFIBUS PA devices consume additional current when there is a problem internally or with its I/O. FDE is this additional static/basic current consumption and has to be written in the manual of the device. Some devices have no FDE current and always consume the regular current. When the problem intensifies, the device shuts itself down from the bus (no more power consumption). In the process industry it is common to use blocks to describe the characteristics and functions of a measuring/manipulation point and to represent an application through a combination of these blocks. The specification of PA devices uses this function block model to present functional sequences. Describes the necessary parameters and functions of the device itself (e.g. software version, serial number, vendor ID, factory reset command). There is only one Physical block in a PA device. Contains parameters which have effect or describe the type of sensor or actuator. Transducer blocks may also contain parameters for calibration and linearization. The processed information is passed on to the Function Block. If a device has more sensors, it has corresponding Transducer Blocks for every sensor. 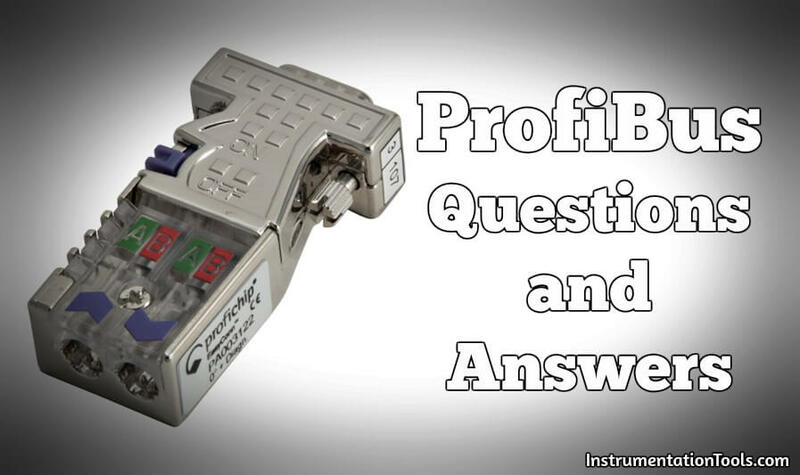 Also Read : How Profibus Communication Works ? Modern PA devices are intelligent and can execute part of the information processing in automation systems. This was previously done by the PLCs or DCS systems. The PA profile is designed with co-operation of the process industry and defines all functions and parameters for different classes of instruments. It is based on internationally accepted function block technology. Class A of the profile describes common parameters of simple devices. The scope is limited to the basic functions. This set consists of the process variables (e.g. temperature, pressure, level) added by measured value state, the tag name and the engineering unit. Class B is an extension to class A and will cover more complex application functions for identification, commissioning, maintenance and diagnosis. The relationship of the parameters to the classes is visible within the parameter definitions and in the conformance statements. In cases where the device of manufacturer-A should be replaceable by an equivalent device of manufacturer-B, the standard Ident Number is no longer sufficient because a GSD file is associated with this number. When the device is replaced a change in the configuration is necessary which will lead to a DCS/PLC stop. Therefore the PNO has assigned number ranges to dedicated device types (Profile Ident Numbers) in combination with certain Profile GSD files. A device can support multiple Ident Numbers which are set by a parameterization tool. The end-user has to decide whether to select the Manufacturer specific Ident Number or the Profile Ident Number. Termination prevents reflections that can disturb the data communication. The higher the baudrate and the longer the cable, the more important termination becomes. Termination to be placed at both ends of every bus segment. With PROFIBUS DP, the termination is powered to provide an idle level when nobody is sending data. With PROFIBUS PA, the termination is a combination of a resistor and a capacitor. YES, even PROFIBUS can get disturbed by interference caused by parallel high voltage power lines. Always try to have at least 10 cm air space between the cables (depends on the level of the voltage). Most users mix all cables in one cable tray and that often leads to unreliable behaviour. Cables that cross each other will not cause problems. Creating distance is not the only requirement. Correct shielding is also a must!